E Hiahia Ana Koe I Te Hanawiti ? 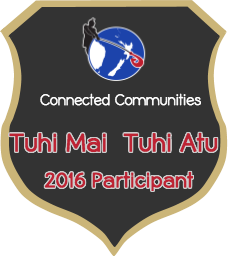 WALT: use Te reo Maori in our daily lives. Room 8 has been given a tough challenge. I call it “Trust your Partner”. The point of the challenge was to trust your partner on where they are leading you. This involved 3 similar tasks and one of them is pairing up with someone else. Our teacher chose our buddy. My buddy was too tall for me so we swapped sides. I was the one who had to guide her all the way to the school gate/entrance. She was who had to keep her eyes shut while I say the directions. When almost all of us were back in class she gave us all another challenging challenge. She called one of us up to face the board with their eyes closed. She whispered quietly to us to create a obstacle course for him so it’ll be tricky. When he was told to start and find his way to the entrance/exit which was at the other side of the room, he bumped onto the first desk he felt. It looked like we made the obstacle a bit hard for him. Our teacher had to guide him in case he falls. Once he had made it to the end we all cheered and cheered for him. After he completed the obstacle, we all had a go before we go to morning tea. Today My Room 2 buddy (Sione) came and visited me at my class Room 8. I first commented on some on his work on his blog and after took photos with him. The photo on the bottom is us being Sione's favourite movie character, Shrek. Labels: Caesar and Sione. Buddy Blogging. Today My Buddy Willietony and I looked at his Blog and Commented on his Post we Looked at some funny video's on my blog. Yesterday we had a quick quiz about being cybersmart. As you can see above I completed this test with a 100% score (25/25). I really enjoyed this quiz, I found it fun and I really learned some stuff about being cybersmart. My name is Chester and I am in Saint Patrick's school. I am in room 2 and the color that I like is black because my superhero is Batman. I am having fun in room 8 doing buddy blogging. My favourite sport is soccer , I like to play with my friends. Labels: Bought tears to my eyes, Kurt, the simple act of caring. WALT use ethos, pathos and logos in a persuasive writing. I truly believe that people that it is so inconsiderate when they run a red light. They should think twice about what their doing. Running a red light is very dangerous. Firstly, when you think it won't get worse it mostly will. You might hit or bump into a car then bump into another and another. You might swerve and crash into a building with an abundance of people in it. The driver might hit or crash into an important structure. Secondly, if something bad does happen (most likely) the driver isn't the only person involved. Their is a 75% chance that you will hit a car. You could swerve and hit someone or something. The car you hit might have more than one passenger e.g their kid, friend and parent. Third of all you can get really injured or you could injure someone else. Their is a very high chance you will crash. A very high percent of deaths are caused by car crashes. People do die because of car crashes. Running a red light is very dangerous. Many, many things can go wrong. Listen, Help, Thinking, Answer, Pray, Lord, Live, My words. Hi my name it's Lolenese and I am 6 years old. I go at St Patrick School. Today I came in room 8 for buddy blogging with Miriama. LI: Write an advertising critique about an advertisement using ethos,pathos and logos. The writer very cleverly gains the audience’s attention by using the phrase ‘Don’t get caught’ and repeats it throughout the whole ad. This phrase miraculously grabs our attention. The advertisement had the big name Cadbury which is New Zealand's famous worlds renounced chocolate company. The director also used the phrase ‘little angel’ to make the audience think that she is sweet and innocent. When the writer says in the clip that it is ‘irresistibly tasty’ it persuades you to go out and buy it because once you go in it’s going to be too late. The phrase ‘Can’t resist them’ was mentioned in written form. The smooth double coated chocolate with creamy caramel was said as irresistibly tasty and good. The writer added that everybody should go and buy a caramel egg because once you go to get one it’s suddenly gone! 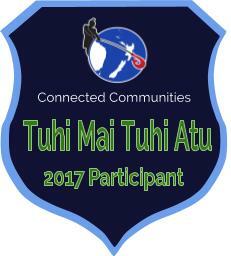 WALHT: LEARN REO THROUGH USING IT IN OUR EVERYDAY LIVES.